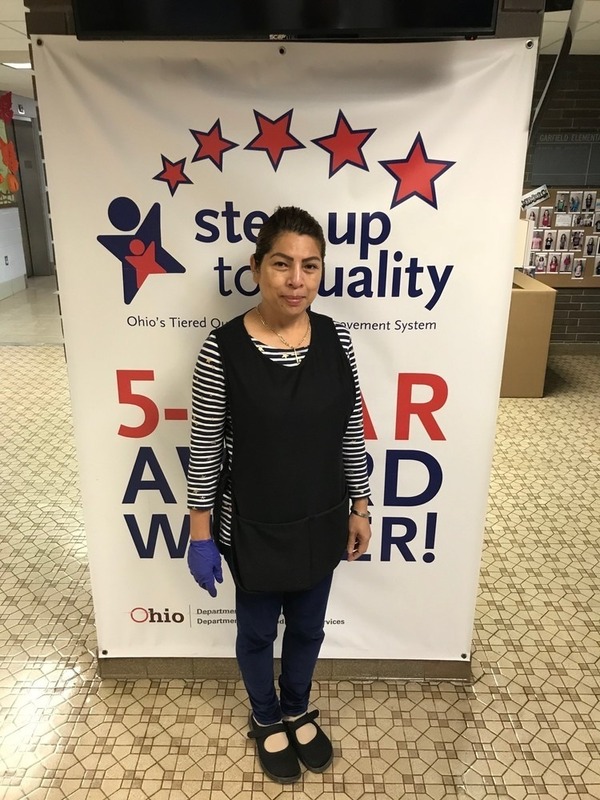 Garrettsville - Garfield custodian Aida Baker came to the United States in July of 2017. Before leaving her homeland in the Philippines, she dreamed that she would one day help the children from the elementary school where she graduated from in 1980. Aida knew first hand the struggles families faced in her community. Aida’s dream did not take long to come to fruition. With the assistance of head custodian Judi Gyulai, the collection of school supplies for the children of Balasinon Elementary began. As Aida swept the floors of JAG Elementary, she would collect any pencils, pens, and markers left behind. Soon, other staff members pitched in and assisted with the collection of supplies. In addition to collecting used writing utensils, unwanted and outdated reading materials that were destined to be discarded were put aside by Mrs. Gyulai and other staff members. Aida then packed the supplies collected and paid for them to be sent to the Philippines. “I felt blessed to send it to them. I can feel the joy these kids have from the moment they received those items. It seems like I saw my young self to (in) them, the hunger for those items that they thought are impossible for them to touch or even see because (of) the lack of supplies in my hometown, but they have it! The teachers in that school told me that they will make a little library for those items so that they can preserve it for the next kids to use.” Garfield Elementary is proud to have such a hard-working, caring staff member among their ranks. Aida had a dream and pursued it. The response from Balasinon Elementary had an overwhelming impact on Aida. It would be a safe bet that the children from her hometown have not seen the last of her thoughtfulness.